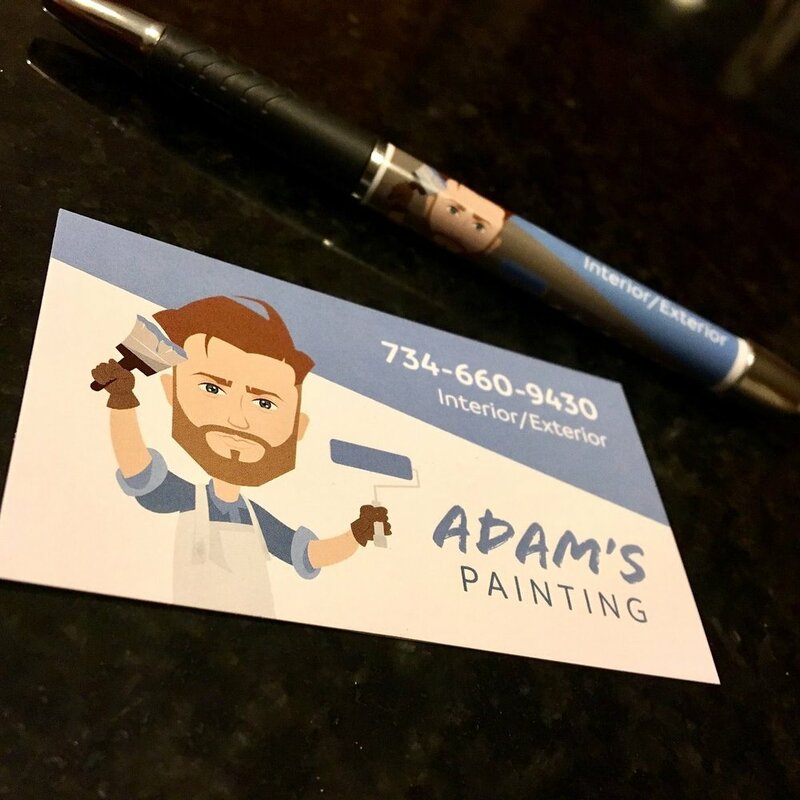 Adam’s painting skills are just as fantastic as his personality. As a satisfied customer, I can speak to the quality craft and approachable professionalism Adam radiates. After a very organic conversation, we decided that I could help him to visually establish his already authentic and unique brand. He wanted a bitmoji inspired caricature logo with personality. We have already designed and ordered a car magnet, business cards and he even ordered some custom pens! I also surprised him with some Moo cards (the best!) featuring their printfinity backs. He practically has a mini-portfolio on the go!